The Resort & SPA Le Dune is immersed in the luxuriant green of the north coast of Sardinia, at Badesi Marina, between sand dunes and centuries old juniper trees. It boasts five 4 star hotels, two of which are 4 star superior grade. The Resort looks out over the azure waters of the Asinara Gulf: the hotels are the Hotel I Ginepri (4 star), the Hotel Le Palme (4 star), the Hotel Le Rocce (4 star), the Hotel Le Sabine (4 star superior) and the Hotel La Duna Bianca (4 star superior). 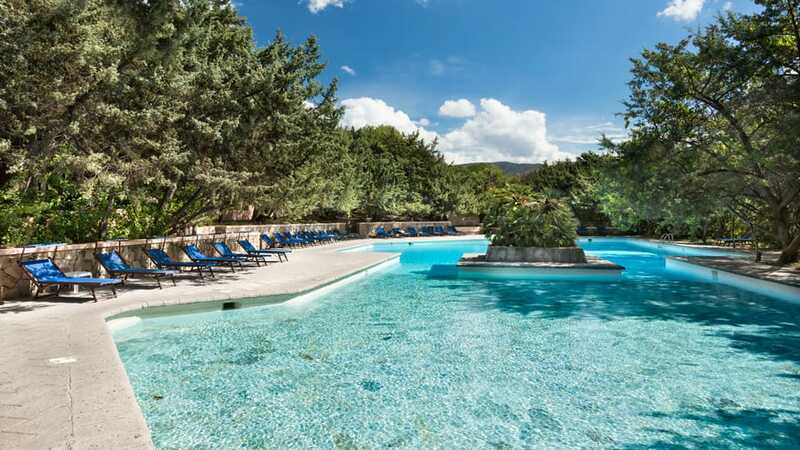 Each hotel has its own swimming pool, bar and reception, except for the Hotel La Duna Bianca, which is right in front of the beach, and whose guests can enjoy an exclusive welcome. A beach service is available for you with sun loungers and parasols directly in front of the resort on the long sandy Li Junchi beach (Blue Flag from 2016) as well as a marvellous Wellness Centre and SPA set amidst the perfumed Sardinian maquis, perfect for combining relaxation and wellness during your beachfront holiday in the North of Sardinia. 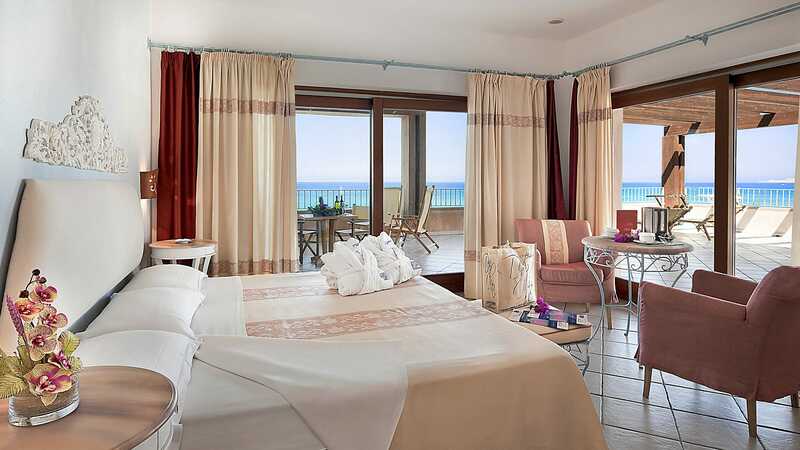 From the Resort & SPA Le Dune you can enjoy an enchanting view over the sea of Sardinia and Corsica, while facing a public beach of white sand that extends for 8 kms; a fabulous stretch of coast that goes from the mediaeval stronghold of Castelsardo as far as the typical village of Isola Rossa. 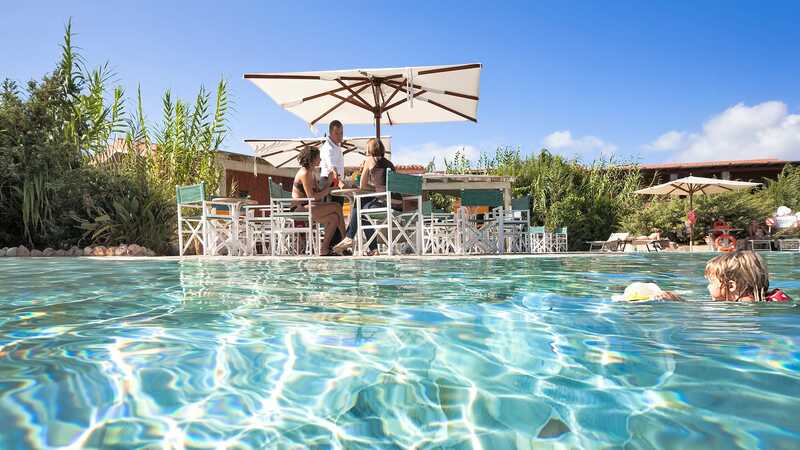 The Resort Le Dune is in the North of Sardinia in Badesi, facing the Golfo dell’Asinara. 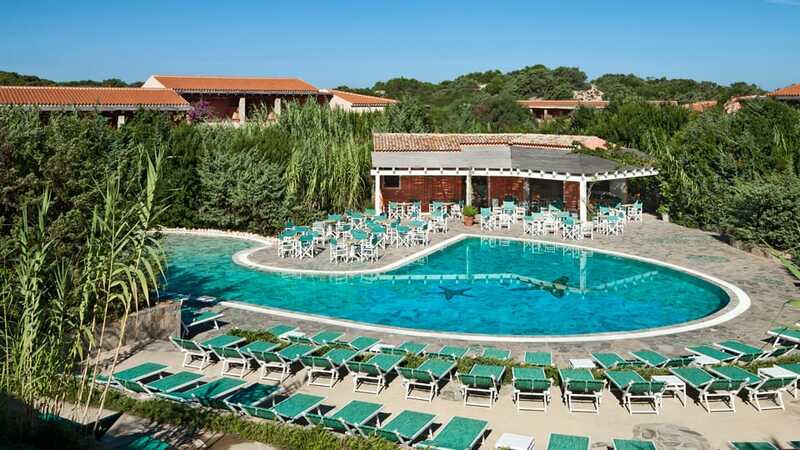 The resort is about 86 kms from Alghero (airport) and 80 kms from Olbia (ferry terminal and airport). The ferry terminals at Santa Teresa Gallura and Porto Torres are about 55 Kms away. Within the Resort & SPA Le Dune, the Hotel Le Sabine is an exclusive oasis for relaxing among the luxuriant greenery of Sardinia. Facing a large swimming pool and with its own dedicated reception, the hotel is just a few metres from the Le Sabine SPA Wellness Centre…. 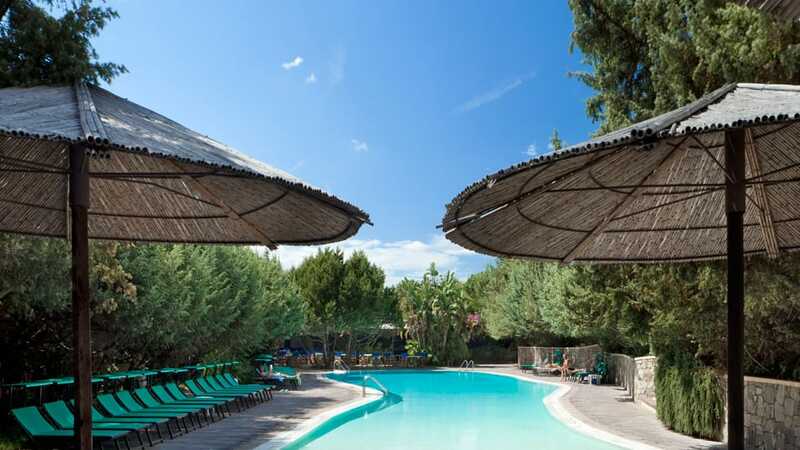 Set apart in a reserved area but close to the main facilities, the Hotel Le Rocce at the Resort and SPA Le Dune, with its 58 rooms around the swimming pool is an oasis of relaxation surrounded by greenery…. 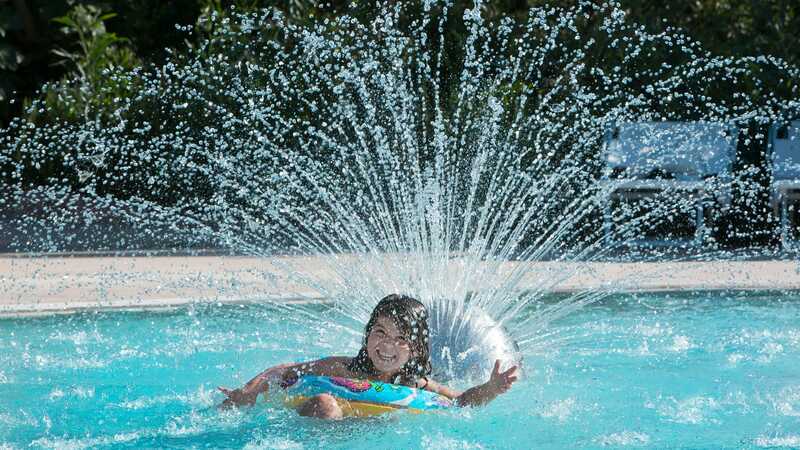 The Hotel I Ginepri at the Resort & SPA Le Dune is the ideal solution for family holidays with children in Sardinia. Close to all the resort’s main facilities, it has a large swimming pool with an unusual central island…. 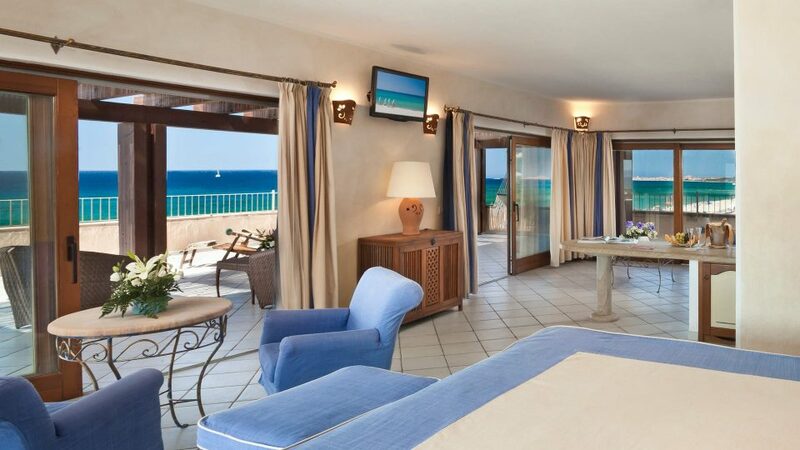 Located at the heart of the Resort & SPA Le Dune, the Hotel Le Palme has 153 comfortable rooms suitable for young couples, groups of friends and holidays with children…. The Resort Le Dune is set in a park of 280,000 m2 between sand dunes and typical Sardinia vegetation at Badesi Marina. With 496 bedrooms just a stone’s throw from a beach of fine white sand, the resort is divided into 5 hotels each with its own character, that are together able to satisfy all the different requirements of couples and families. 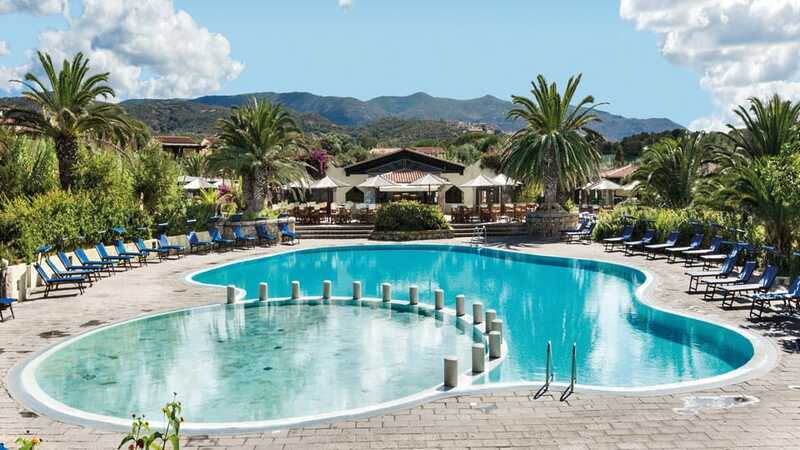 Among the most comprehensive in Sardinia, the Resort & SPA Le Dune offers a wide range of services and facilities for those wishing to spend a holiday with the family, guaranteeing lots of sports and entertainment for old and young alike. The new Le Sabine SPA Wellness Centre & SPA will give moments of relaxation to couples and those on honeymoon. Every day you can taste flavourful dishes choosing between 10 restaurants that offer different styles of cuisine and which offer delicious menus created by our chefs. They use their imagination to reinterpret Mediterranean and traditional Sardinian specialities with rigorously authentic local products. Within the Resort & SPA Le Dune you can spend a holiday that is both relaxing and invigorating, choosing between: 6 swimming pools, two of which are exclusively for the use of our youngest guests, 6 bars, a wellness centre, fully equipped beach, play area and spaces dedicated entirely to children for an unforgettable family holiday. For the more energetic there are five-a-side football, tennis, mini basketball, archery and much more besides, all free. 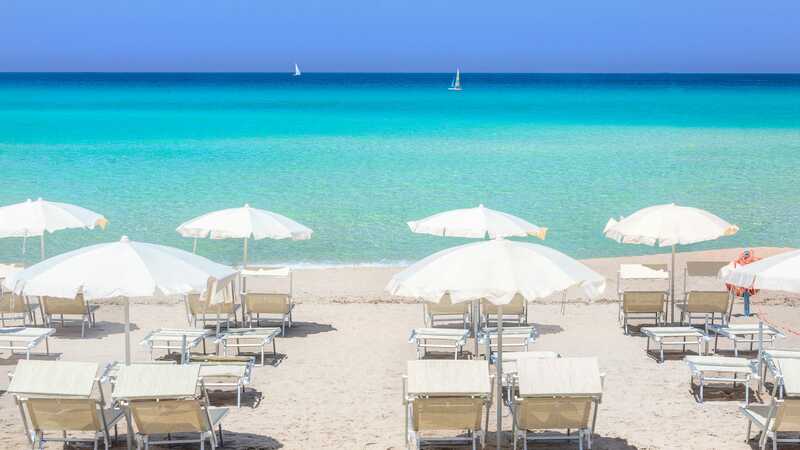 If you are curious and you want to find out more about the North of Sardinia, with the most beautiful beaches, clearest waters and whitest beaches, our excursion centre will arouse your interest every day with a variety of different activities. Thanks to the fleet of Delphina craft, you have the chance of spending unforgettable moments among the unspoilt islands of the International Straits of Bonifacio Marine Reserve which includes the La Maddalena Archipelago and the Corsican Archipelago. Fishing enthusiasts can take advantage of the strategic location of the Resort & SPA Le Dune to take part in incredible sport fishing expeditions, but that’s not all. Delphina’s hospitality will take you into the soul of the real Sardinia, to discover centuries’ old traditions and ancient trades that are still alive in the heart of Gallura. We recommend the Resort Le Dune for: honeymoons in Sardinia, events and conferences, holidays with children and holidays at a hotel with SPA. It is perfect for those who want to spend their holidays by the sea in a charming and relaxing setting just a few metres from a marvellous white sandy beach.